I’ve mentioned before that Gibraltar is a strange place. 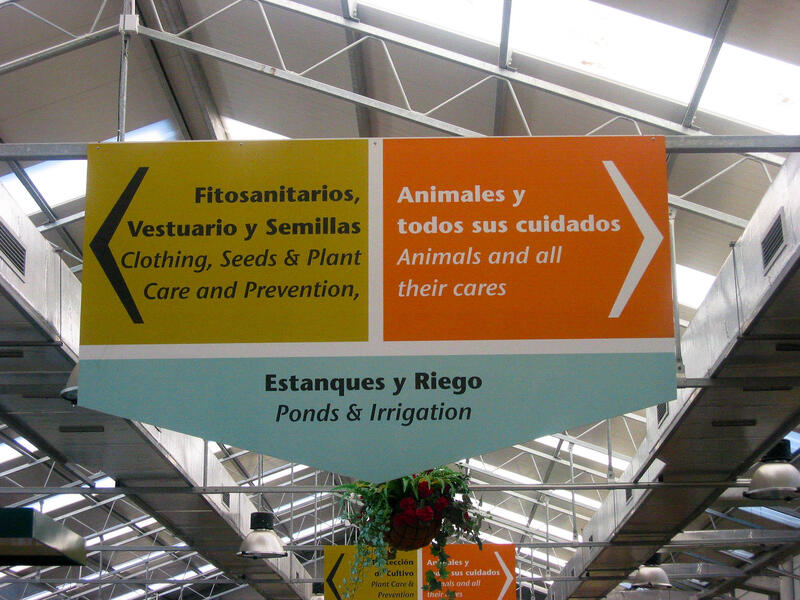 Every time I go I say the same two things. The place is weird. And I will never eat there again. 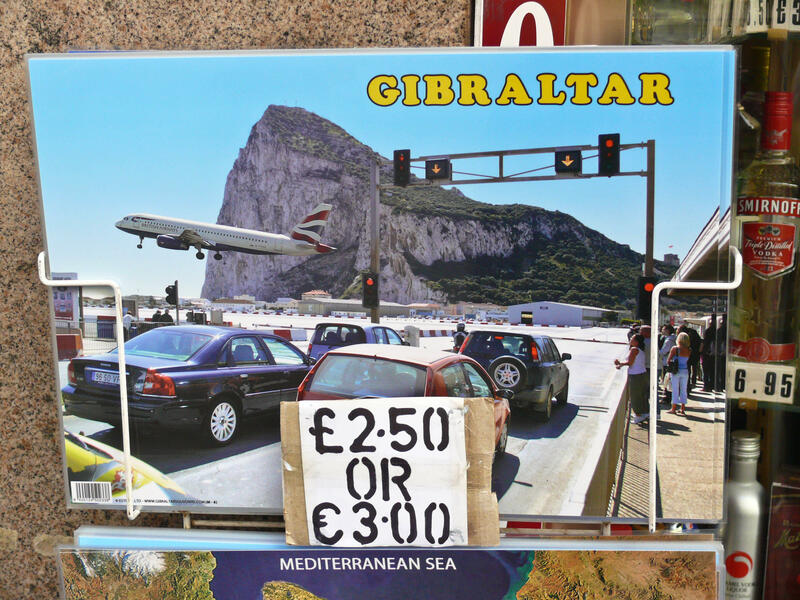 Gibraltar combines the worst of both worlds; English food and Spanish service. Even the guidebooks suggest you stick to McDonald’s. Tomorrow you’ll get the low-down on my James Bond style adventure to “The Rock”. 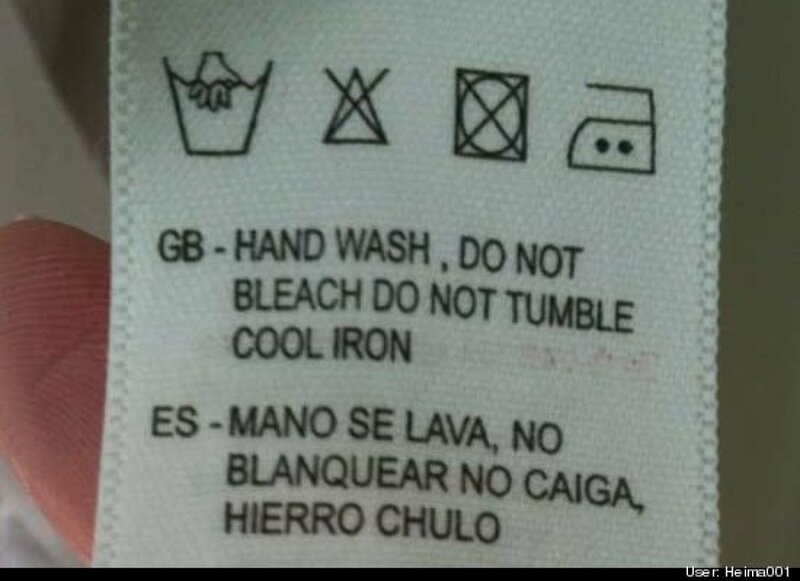 But for today, I’ll leave you with some “signs” of just how weird the place is. 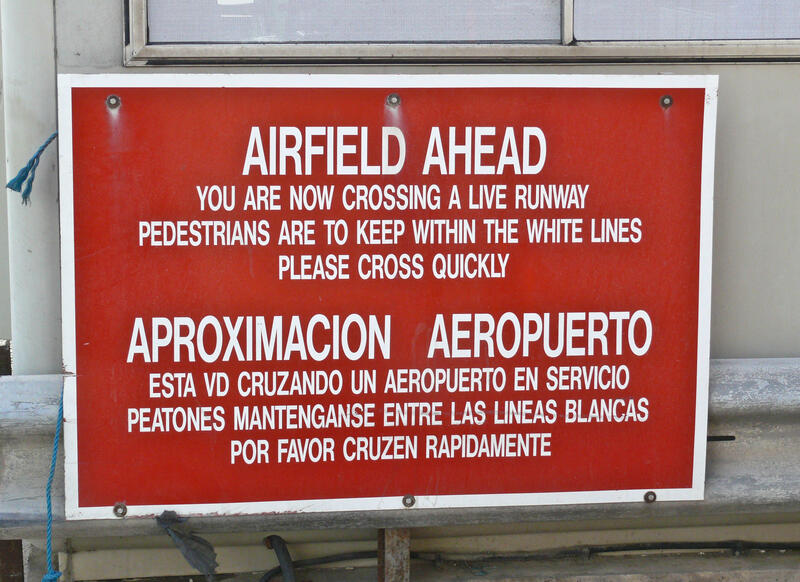 Yes, you have to walk across a full-sized runway. Yup, where planes land. Gives you a warm and fuzzy feeling right off the bat, doesn’t it. People find it quaint and amusing that pedestrians and jet planes share the same space. They sell laminated place mats showing British Airways jets touching down meters from other tourists’ heads. 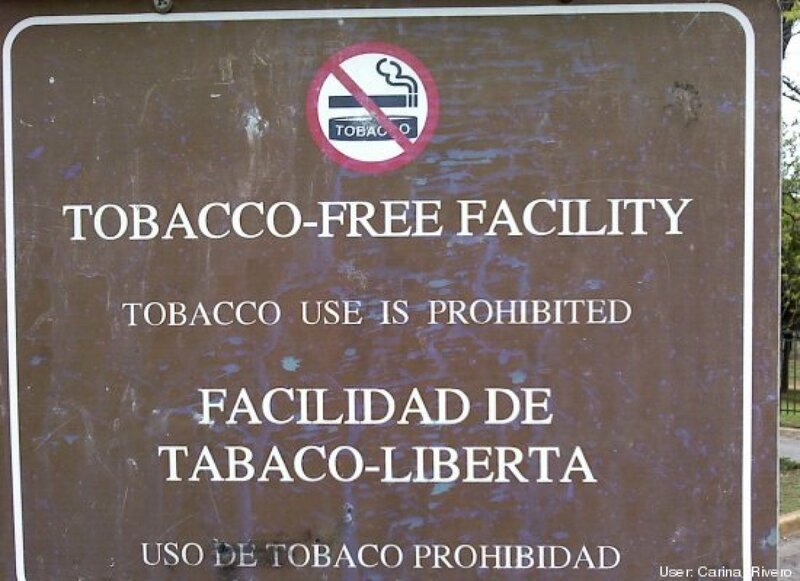 Gibraltar folk are pro-active about lifestyle diseases. 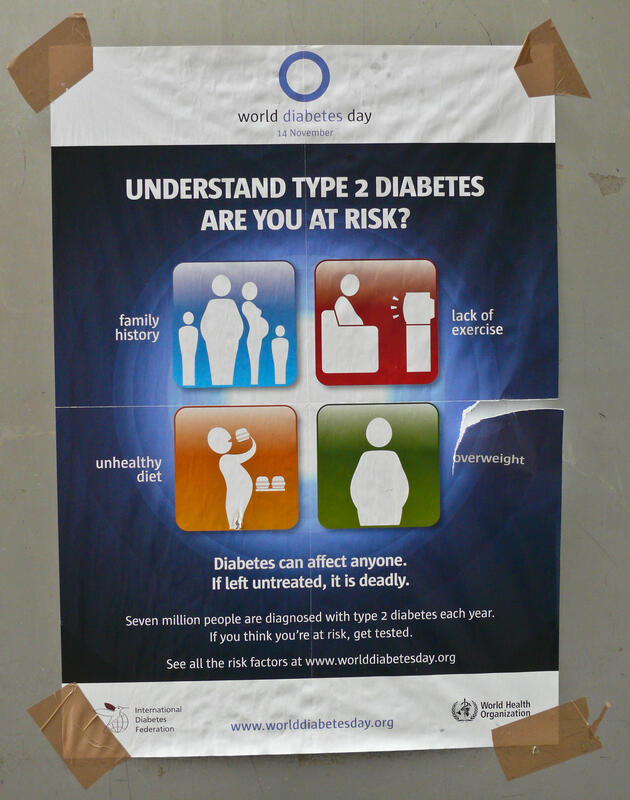 In fact, they tape up informative signs about type 2 diabetes. They hang them outside the bakery. Good for business, huh. 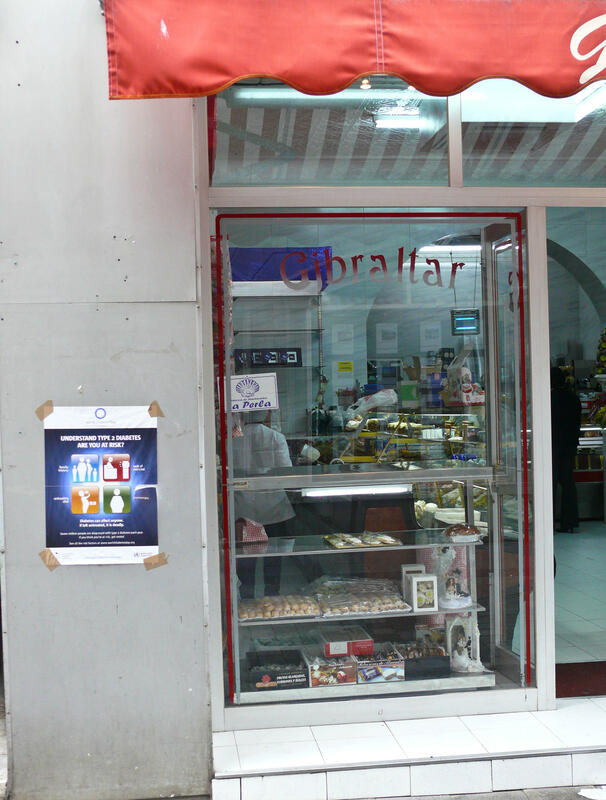 In the spirit of customer service, Gibraltar focusses on convenience and one-stop-shopping. 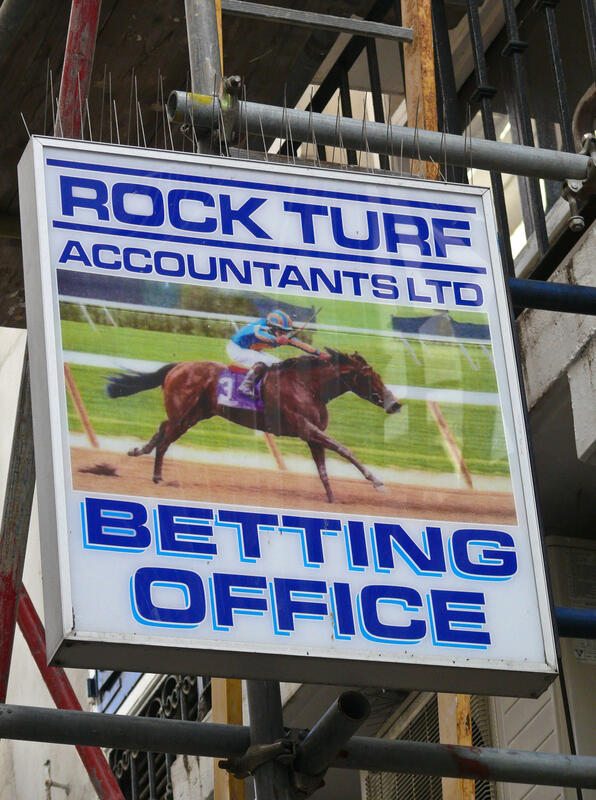 In fact, you can see your bookie and accountant in the same office.